Riding a bicycle is a great way to stay fit, encourage independence in kids, and have fun! There are some bicycle safety concerns to be aware of, though. According to the CDC, bicyclists face a higher risk of injury than motor vehicle occupants do. Bicycles are even legally considered vehicles in many states. 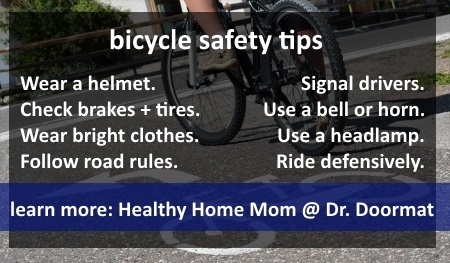 Avoid injury by observing these basic bicycle safety tips. Follow these bicycle safety tips to avoid injury! 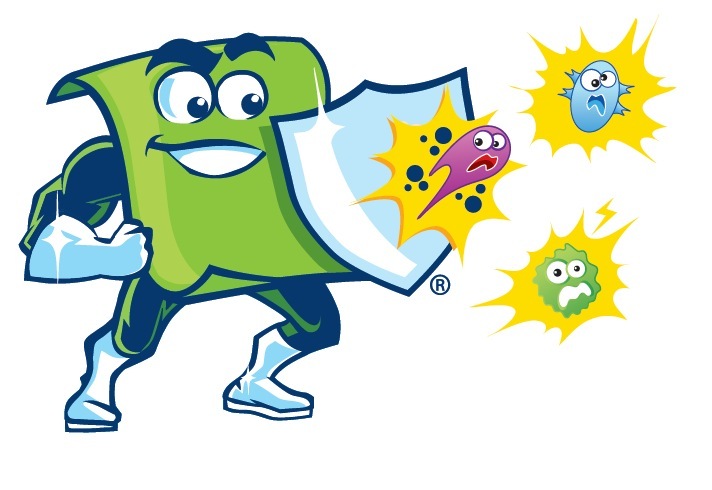 Protect your brain from injury by wearing a properly fitted helmet. Check kids’ helmets for proper fit. Wearing bright and/or reflective clothing. Using a headlamp at night. Waving when approaching a car ready to pull out. Shouting, ringing a bell, or honking a horn when approaching cars. Of course, always ride defensively and slow to a possible stop if you don’t make eye contact with a driver pulling out. Don’t forget the rules of the road. Learn your community’s local laws on bicycling on the road amidst motor traffic. May Every Step You Take Be Healthy! 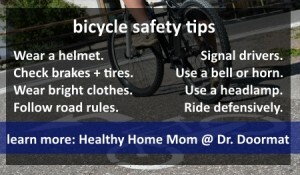 This entry was posted in Dr. Doormat Blog, healthy family and tagged bicycle safety, bicycle safety tips, bike safety, bike safety tips on June 30, 2014 by debbiedrdoormat. 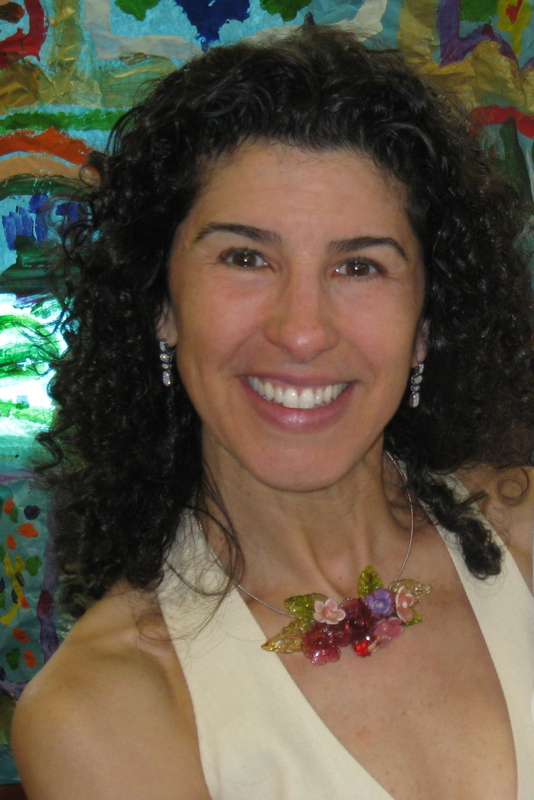 Subscribe below to receive blog updates from Healthy Home Mom!